Eng. 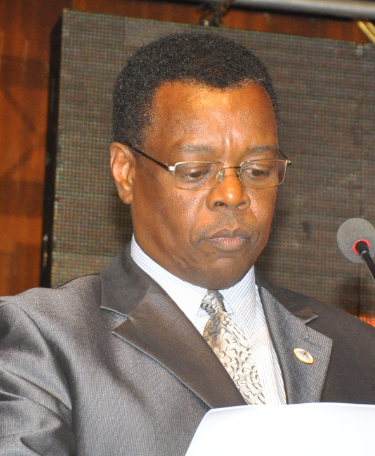 Dr. Ben Manyindo is the Executive Director of Uganda National Bureau of Standards (UNBS) having assumed office on 24th October 2012. He joined UNBS in 1998 rising to the level of Deputy Executive Director (Technical); having previously worked at Makerere University and Uganda Polytechnic Kyambogo He is a first class graduate of Makerere University Faculty of Technology and a PhD holder from the University of New South Wales, Australia. He is a registered Mechanical/Industrial Engineer with over 27 years working experience in teaching, research, consultancy and standards of which 14 years has been spent in the area of standardisation at national, regional and international levels. At international level he served on the Executive Committee of FAO/WHO Codex Alimentarius Commission and for three years was elected to the post of Vice Chairperson.